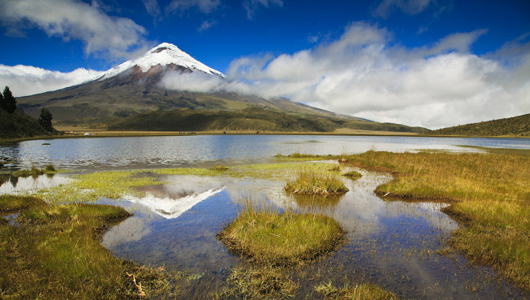 From cultural Otavalo you travel through the avenue of the volcanoes to one of the hacienda´s near the National Park Cotopaxi. In case you travel on Thursday you´ll visit the market of Saquisili. This market is divided over five separate squares, you will appreciate the lively development of our indigenous people to market their agricultural products, crafts and animals. This market is located 80 kilometers south of Quito. In the afternoon you have time to explore the beautiful surroundings. Overnight in your hotel, including breakfast. 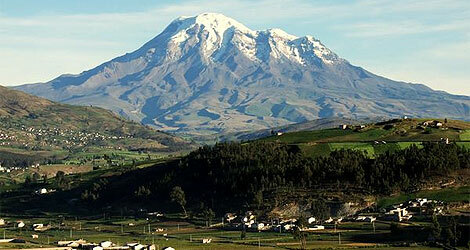 After the tour you´ll be brought to Riobamba, capital of the Chimborazo province. 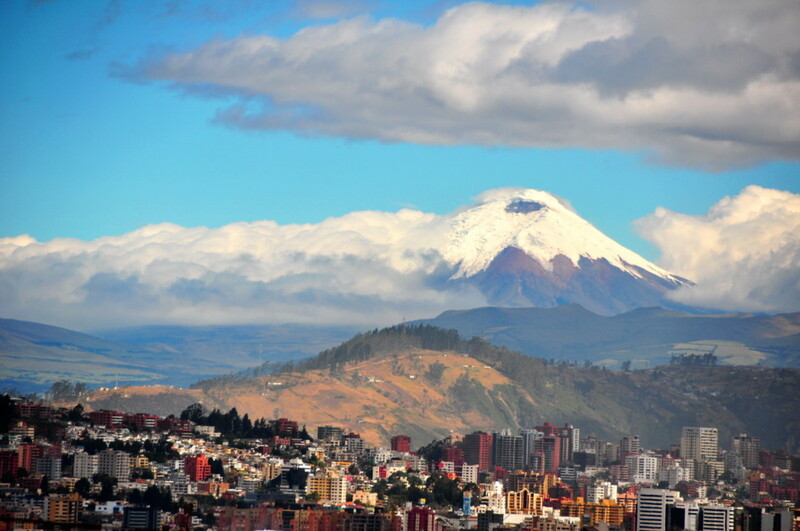 From Riobamba you can see the highest volcano of Ecuador: the Chimborazo. From Riobamba you travel to Guamote. The canton of Guamote is the most traditional region in Ecuador. 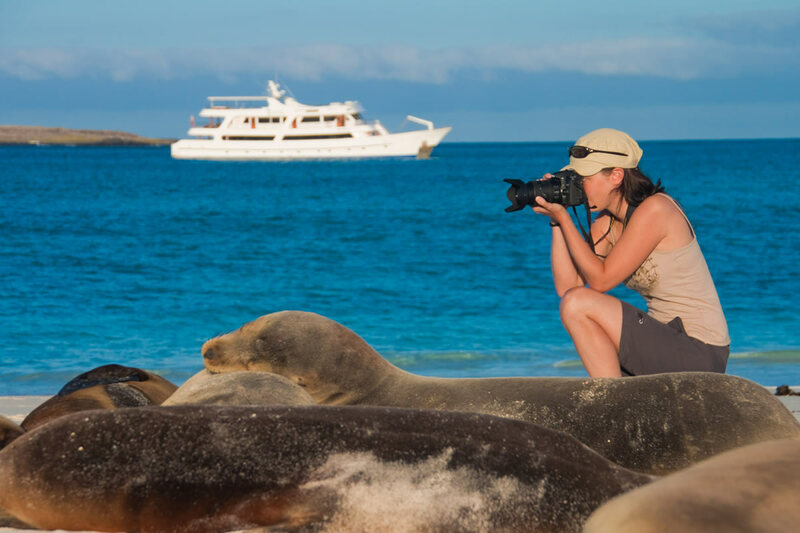 95% of the population is Indigenous (while in the whole of Ecuador it is only 25%) so you cannot miss this spot! Early in the morning you travel from Riobamba to Guamote from where you will be taken on a tour to some of the small villages and projects that Inti Sisa, the guest house where you will stay, support in the mountains. You will start the day with a visit to our own educational center Inti Sisa in Guamote. There is a kindergarten, sewing is taught as well as computer skills and English. Every Sunday there is also a traditional Andean music course. After that you take off for a beautiful ride by car through the mountains and you get explained some more about the history of this region and the Indigenous culture and traditions. On the way you make a stop at a primary school, you´ll visit an agricultural college and the house of a traditional weaver. At the end of the tour you see how a indigenous family lives in their authentic house (choza).Overnight and breakfast in Inti Sisa. From the high peaks of the Andes you travel to the West, passing banana and cocoa plantations you will arrive at Guayaquil. Guayaquil is the biggest city of Ecuador and is focused on trade as it has an immense harbor. Nevertheless you can spend a nice afternoon here. Climb the 444 steps of the colorful Las Peñas district, wander along the Malecon or visit the historic park. Today you have a transfer out to the airport for your (international) flight.